When the federal government’s contracting agency tries to justify lower past performance evaluation scores, your company at first glance may find it hard to challenge the decision in a bid protest. As in every litigation case, facts drive almost everything. Bid protests based on contractor past performance have less than 25% chance of winning. See Wifcon. For example, an RFP may state that the technical capability factor is more important than the past performance factor and that the technical capability and past performance factors, combined, were approximately equal in importance to price. The key here is to read the exact language of the solicitation. Generally, the evaluation of past performance in LPTA contracts has a unique approach. Some solicitations do not expand upon the importance of how past performance plays out during the source selection process while others do. Past performance evaluations in LPTA contracts generally would be wrapped into the overall technical acceptability evaluation. If not, the solicitation must so state. If there are questions and answers in the solicitation process, then you should take advantage of them to clarify any vague requirements. The bottom line is that if there is a problem with how the solicitation is written, you must meet the bid protest deadline. There is a hidden formula for considering the relevancy of past performance. Size, Scope, and complexity require a comparison to the value of the solicited requirement. When addressing past performance evaluations in a bid protest, if the contracting agency fails to document its evaluation, it bears the risk that there may not be an adequate supporting rationale in the record for us to conclude that the agency had a reasonable basis for its source selection decision. Navistar Def., LLC; BAE Sys., Tactical Vehicle Sys. LP, B-401865 et al., Dec. 14, 2009, 2009 CPD ¶ 258 at 13. What is the primary contractor past performance evaluation criteria? The referenced project should be relevant. Relevancy generally means similar in size, scope, and complexity when compared to the project up for bid. The underlying method of attack is to challenge the awardee’s project relevancy performance appraisal and evaluation by the agency. 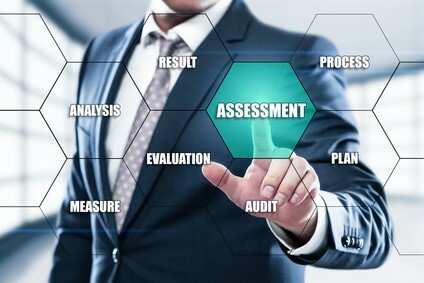 Solicitation evaluation measurements: The next piece of information that should be readily available is the overall past performance confidence assessment rating categories used by the agency. Note that the agency does not have to publicize its past performance evaluation guide. Most common are substantial confidence, satisfactory confidence, limited confidence, or no confidence. For each group, the agency usually provides a definition. This is one of the most important pieces of information when filing government contract protests. Most government contractors already know that the best way to win a bid protest is to show that how the agency failed to follow the stated contractor past performance evaluation criteria in the solicitation. With that said, past performance bid protests are some of the most difficult to win. How Did the Contracting Agency Act Unreasonably? However, the critical attack in a bid protest based upon an allegation of flawed past performance evaluations is to thoroughly explain how the agency failed or acted unreasonably. A government contract protest lawyer should be comparing the agency’s past performance evaluation with the size, scope, and complexity of the referred project. Then he or she should look at the awardee’s overall contract cost for each project. A vast difference between the size of the referred project(s) to the instant project could open the doors to a successful protest. The source selection team will have a difficult time explaining the high score to the awardee given the diminutive size and scope of the referred project. Keep in mind that as the protestor, your referred projects must be larger. In the March 2017 case of XPO Logistics Worldwide Government Services, LLC, the protestor successfully made such an argument to GAO. The agency’s source selection mistake was first taking the awardee’s base year pricing instead of considering the escalating option year prices to justify why its lower price. Second, GAO found that the relatively low‑value base period of the contract as awarded to the awardee unreasonably distorted the comparison of the magnitude of its past efforts to the magnitude of the solicitation. If the agency gives you a lower past performance evaluations rating, consider the above approaches as a baseline for filing your bid protest.